This post is sponsored by Cabana Life. My thoughts and opinions expressed here are my own. Thank you for supporting brands I support. This is probably already known but the sun’s UV rays are very harmful. The unfortunate misconception is that you only need to protect yourself from the sun during warmer seasons. Since the sun is around pretty much every day, it is just as harmful in the summer as it is in the winter. Therefore, it is important to have sun protection all year round. UVA (Ultraviolet A) Rays penetrate into the skin more and can cause premature skin aging and wrinkling and suppress the immune system. They are present during the day and through clouds and glass. UVB (Ultraviolet B) is the cause of skin reddening and sunburns. They damange the outer layers. It is also the UV ray responsible for causing skin cancer. Last week, we were in Florida and it was extremely hot! I swear I felt every sun ray on my body. Ever since I learned how harmful the sun is all year round, I’ve had the habit of protecting my skin all year in Chicago. I took extra caution while I was in Florida. Below are habits I included in my daily life to protect myself from the sun. Anywhere on your body that your skin is exposed to the sun, put on some sunscreen. It is recommended to use at least SPF 15. My motto is, the stronger the sun, the higher the SPF. My favorite sunscreen is Neutrogena Ultra Sheer Dry-Touch, and if you have sensitive skin this one is a good option too. I use a separate sunscreen for my face and I love love love MISSHA’s sun milk face sunscreen. It doesn’t have that gooey, sticky sunscreen feeling at all. If anything, it feels powdery smooth and it is perfect for my sensitive skin and I use it as part of my morning skincare routine. They also have a waterproof version. Not only does your skin have to be protected, but your eyes should be too. The sun can seriously damage your eyes if they are not properly cared for. Remember the total eclipse? Same concept goes for your day to day. So make sure your sunglasses are not only chic, but it provides UV protection. My favorite place to get sunglasses is Zenni Optical. They have amazing selections and the lens are completely customizable for an affordable price. You can add prescription to them if you’d like. Try not to be in the sun unless you have to. Although being in the shade doesn’t always protect you from UV rays (you still need to wear sunscreen), it is better than being in direct sunlight. Many people don’t realize this, but there are clothes out there that have UPF (Ultraviolet Protection Factor). The fabric is made to be effective against UVA & UVB light. I will admit that not many UPF clothing pieces are cute, but I have one place that is my go-to. I shared about them last year and you bet I brought Cabana Life pieces with me to Florida. Cabana Life’s clothes have a UPF 50, which is the highest fabric rating. It blocks approximately 98% of UVA & UVB rays. I will admit, what initially drew me to them is their cute clothes! I love it when a brand is fashionable and functional! My lounge pants have UPF and they’re totally breathable too! Because man was Florida HOT!! Hopefully, you all have a better understanding why it is so important to protect yourself from the sun all year round. No matter where you are, hot or cold climate, the sun is always there and its rays can be harmful. 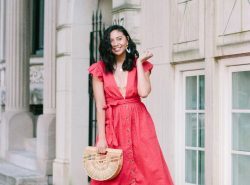 Cabana Life has a Fall collection, and I think they are perfect outfits for Fall. If you want to test them out, Cabana Life has been generous enough to give one of my readers a $50 gift card. This is a perfect way to get started on protecting your skin! Giveaway will end on Wednesday, October 25 at midnight (CST). To enter, you just have to follow the instructions in the Rafflecopter. This is such a great reminder! I am so guilty of only applying SPF during the Summer months. My makeup has SPF but I need to remember to apply it to other exposed skin! I am totally guilty of it too! It wasn't until recently that I made it habit! I have never heard of such thing as UPF but it sounds amazing and it LOOKS amazing, so why not. Thanks for sharing Rach. UPF to sum it up is sun protection. So it is definitely a must when looking for the products that will protect you from the sun. Great tips! I rarely wear sunscreen bc the sun doesn't harm my skin but it is important for me in the summer! Thanks! Unfortunately the sun is harmful no matter what. Hence, why I think it is so important we are cautious about being outside. I didn't realize that about the UPF clothing! Also a good reminder to protect yourself from the sun even when you don't feel like you need to. Thanks for sharing!! I know, isn't it great?! I learned my lesson when I realized I was getting sunburned and I barely saw the sun! Love this!! Definitely great advice about protection from the sun in clothing!!! Great advice and I really love your sunnies! SO chic! Sending hugs! a good SPF is my first, an most important, step in daily skincare routine! It is in mine too! I have never used a sun protection before. I just feel like I don't need it, because I'm black. LOL!! Hope it doesn't sound bad, -just being honest. Reading this though – maybe its about time. Thanks for sharing beautiful. Love your pants! Glad to hear you are being honest! The sun doesn't discriminate and can cause damage to any skin color. I naturally have super tan skin, but I'm now realizing that sun damage is affecting me. These tips are so great! I definitely agree that sun protection all year round is absolutely necessary! 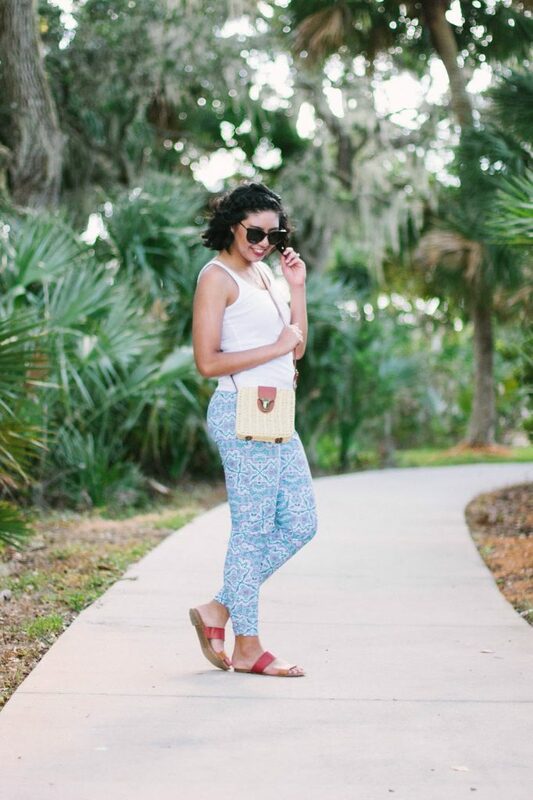 Also I'm loving your outfit…the print on the pants is so pretty! So necessary! Thank you Valerie! 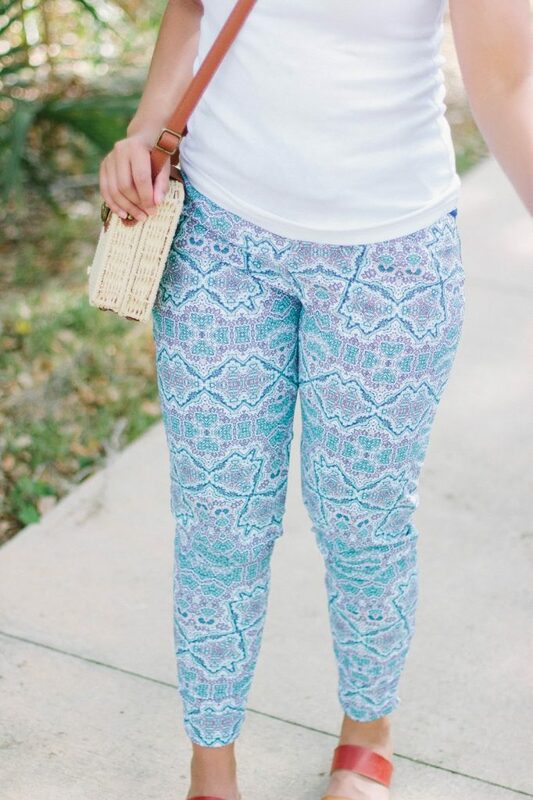 Awesome tips and I love these pants!!! 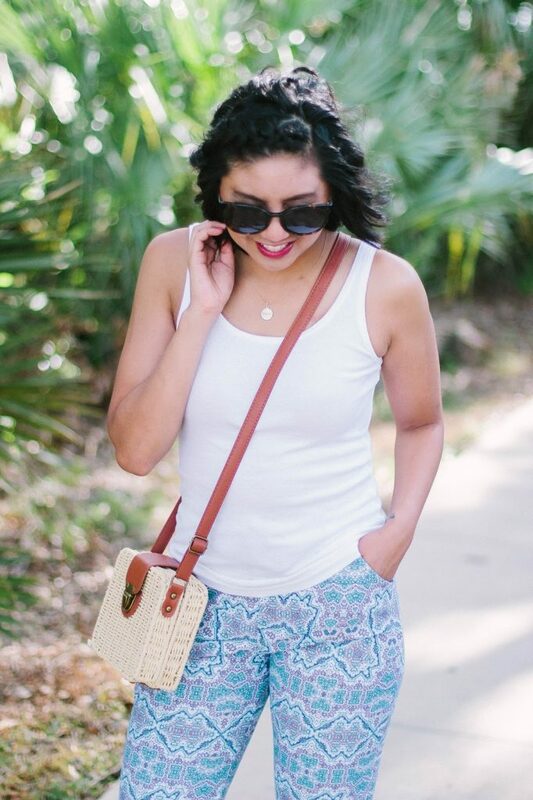 I love how these pants have sun protection! And they are a gorgeous color to wear all-year long! Thank you Jessica! I agree and they are so fun to wear! love these pants! sun protection year round is so important! So important yet it gets easily forgotten. Thank you! So true! A lot of people think they don't need it. Thanks for being proactive Madison! Sun protection is super important – especially for us in Australia. The sun is shining so brightly now that it's spring/summer here. Love your bag by the way! Oh yea I bet! Hope you are able to stay cool too! You look so comfy! the bag is perfect dear!! Desde que viví en Chile sé lo importante que es la protección contra el Sol, y lo sigo a rajatabla. Skin protection is so important! Was just learning all about it yesterday! Thanks Tillie! So so true! Such a cute post! 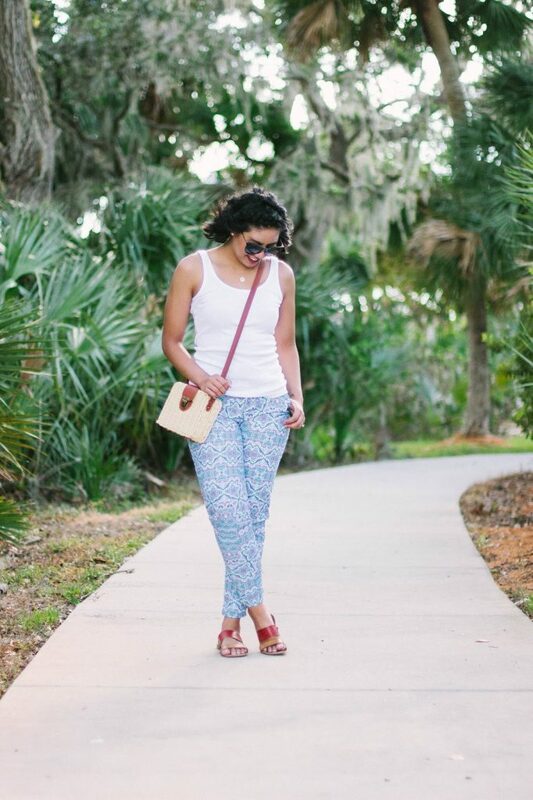 Love your outfit, especially those printed pants! Great tips babe!! I love that bag, it's so cute! Isn't it horrible how how it is here in FL?? UGH!! I confess I always forget to wear body sunscreen. I NEVER EVER DO. I do however use a moisturizer that has it it built in, so I guess that's half the battle? LOL! Love that bag! 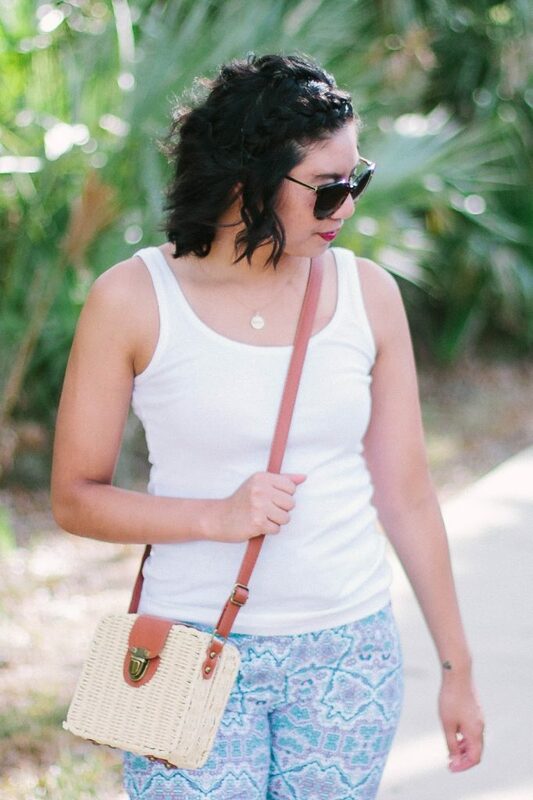 Really cute casual look. Love the color of your leggings. So true that it is a year round thing and also in overcast. I think people forget that. Good tips and info! Yes Yes Yes! This post is so important. I think many people (including myself, at times) forget that the sun is damaging and harmful year round. Taking care of my skin is an absolute priority so I'm SUPER excited about this giveaway!!! Fingers crossed! First of all, those pants are SO cute on you! And I've been trying to get better at adding SPF to my daily regimen, regardless of what I'm doing. Any exposure warrants the SPF! Love this ! Being sun aware is super important, thanks for talking bout such an important topic ! 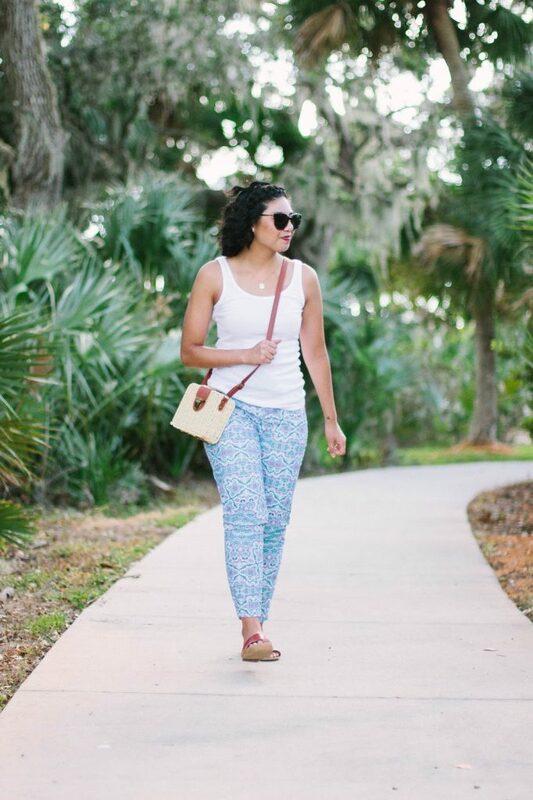 These pants are so fun, love this look! 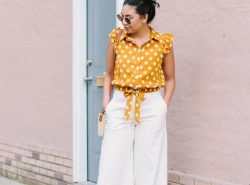 I've never heard of Cabana Life, but I certainly believe that having UPF clothing is a great idea, especially if you live in a particularly sunny location – such as Florida. Every time I visit my fiancé's family down there, I remember how intensely sunny and hot it is haha. You gave great tips here, girlfriend! So important to take caution! This is so important! I wear sunscreen every day so I need to consider UPF clothing! You are looking so comfy and cute! The older I get, the more aware I have become of how bad the sun is for your skin. I am always constantly lathering SPF on my face, neck and hands to help prevent wrinkles! #thisis30. Ha! Such great tips! Yes to all of this. Thanks for sharing. Totally agree, UV can be really harmful, and can even make skin look older than it is. Btw, I love your pants dear! Kudos for being able to look so summer fresh in the middle of fall! And I love your bag and when you wear your hair like this. Oh, and I always wear a moisturizer with SPF in it! 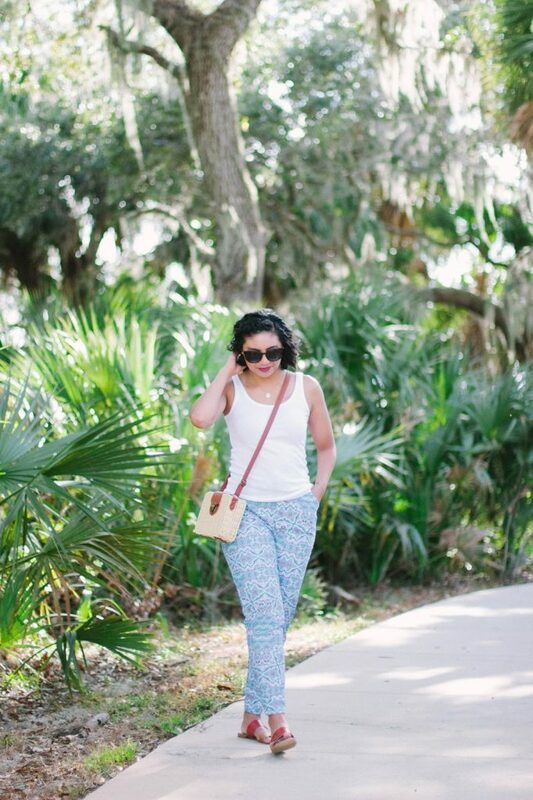 Such cool printed pants Rach! Totally! Sun protection is so important. I love that it’s coming more to the forefront. Thanks for sharing girl! Your shots are beautiful. Staying out of the sun is SO crucial, especially where I live in Los Angeles! I haven’t yet tried clothing that offers UV protection but would really like to. I’ll have to check out Cabana Life! I love your pants! And I’m all about sun protection year-round! You look cute. Your hair looks great. Buenísio este post, con una información muy buena y para tener en cuenta. Gracias Rach. 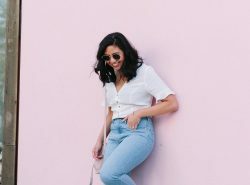 You look so amazing in this summer outfit. I love those pants! I totally agree! Have a great one too!